Civil engineer, MLA (1886-1888), MP (1896-1900). Born at Dundas, Ontario on 22 November 1854, he was educated at the Hamilton Model School and the School of Technology and Practical Science (Toronto). He was employed as an engineer during construction of the Canadian Pacific Railway north of Lake Superior and built the cutting and embankment work on the CPR Pembina Mountain branch west of the Pembina River to Pilot Mound. He was Chief Clerk of the Manitoba Department of Public Works and Chief Engineer of Manitoba. He later edited the Manitou Mercury newspaper and worked in grain trading at Holland in partnership with R. P. Roblin. He was a member of the Dufferin Municipal Council. 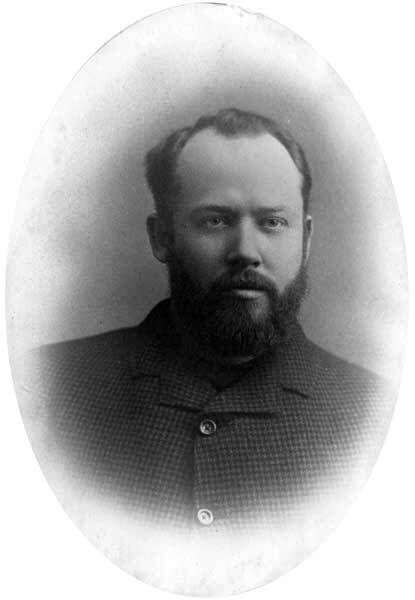 He was elected to the Legislative Assembly of Manitoba in 1886 as Liberal candidate for Lorne but was defeated in 1888. In 1896 he was elected to the House of Commons for the Selkirk constituency, defeating Hugh Armstrong by one vote, but did not seek re-election in 1900 because of ill health. He died at Kingston, Ontario on 17 October 1912.